while the sun shines: service for eight. 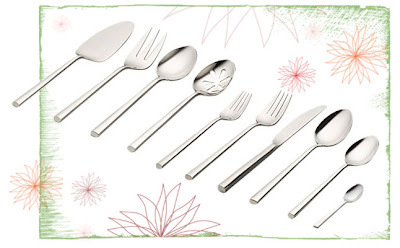 such a delight, we both love the simplicity of handle shape and this is a set we'll love to entertain with. the teeny tiny little espresso spoons are so sweet. i am so watching it.